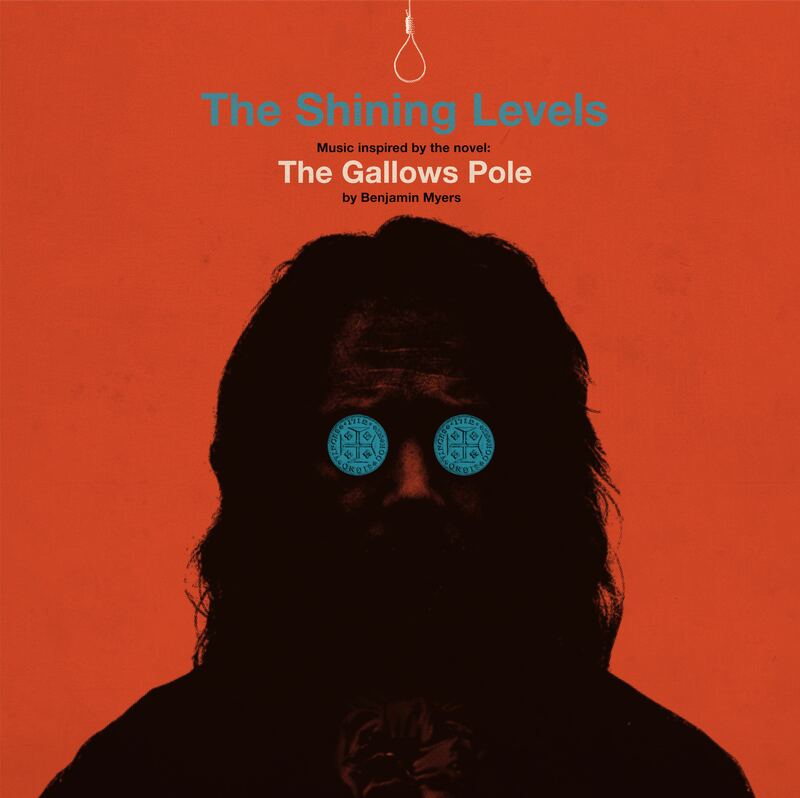 Music inspired by the novel The Gallows Pole sees The Shining Levels tread similar topographical terrain to The Unthanks, and shares DNA with such disparate musical ancestors such as Pentangle, Sandy Denny, Bridget St. John and Tom Waits, though is its own beast entirely. A combined love of ambient music, hip-hop production and musical obscurities from far-flung countries meanwhile ensure this is a folk record in a very real – and very modern – sense. Drawing on a shared childhood and background with the author, The Shining Levels’ music explores themes from the book: an England divided, the potency and mystery of remote rural landscapes, industrial progress, the changing seasons, shifting fortunes, self-delusion and self-aggrandisement, poverty vs wealth, societal power structures…and strange visions of mythical creatures. The album was recorded further up the stony Pennine spine from the novel’s setting, in a variety of shifting locations: a rented attic conversion on the outskirts of Durham during various elemental conditions (“from a Siberian winter to the Saharan summer”), a similar rented attic conversion in Corbridge, Northumberland and not-for-profit community centre, Core Music in Hexham. Backing vocals and flute parts were recorded as far away as you can get from the spacious, windswept ancient north before hitting water: a cottage overlooking the sea in Lizard, Cornwall. A small spoken word section was recorded in Mytholmroyd, where the Cragg Vale Coiners ruled with fear and intimidation. Many Facetime conversations were involved. For instrumentation, the idea was to record some traditional sounds but using software to manipulate and structure the music. “I had vague memories of pirate horror VHS’s and creepy 70s and 80s British kids’ TV music,” explains Dan. “I got hold of some old keyboards and a delay unit which gave a bit of that flavour too.” Here then, the bucolic meets the technological, and the rural collides with the digital to thrilling effect. “There’s certainly a nod towards what many may consider English folk, certainly in Laura’s beautiful plaintive voice,” elaborates Davey. “But there’s also pounding drums, overdriven electric guitar, loops and samples all over the place. So I think to call it folk music would actually be doing it a disservice. It’s a set of quite different songs and moods forming a larger soundscape that hopefully takes the listener on a unique journey.